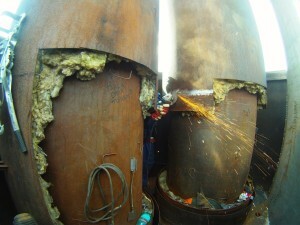 Services of welders, working at height, are the most difficult type of repair. 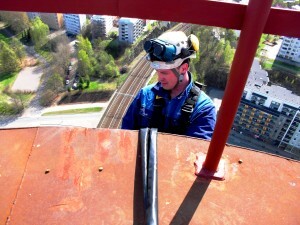 It's necessary to execute welding works at height during performance of many operations at steel structures. It should be noted that the welding at height is a very complex and dangerous process associated with a high degree of risk to life. In this case, not only the specialist's professional skill and level of professionalism are important, but also the equipment that will allow to accomplish a task in hand safely, qualitatively and quickly. It is required to use DC inverter welding machines. Their weight is about 5 kg, allowing to move freely. If necessary, mini metal cutters (BlueWeld Prestige Plasma 54 Kompressor 815 725 inverter plasma cutter; Svarog CUT 40B inverter air plasma cutter) are used to cut metals. Obligatory condition is to wear modern Chameleon-type welding helmets (masks) equipped with electronic screens that automatically change the color depending on the radiation rate. 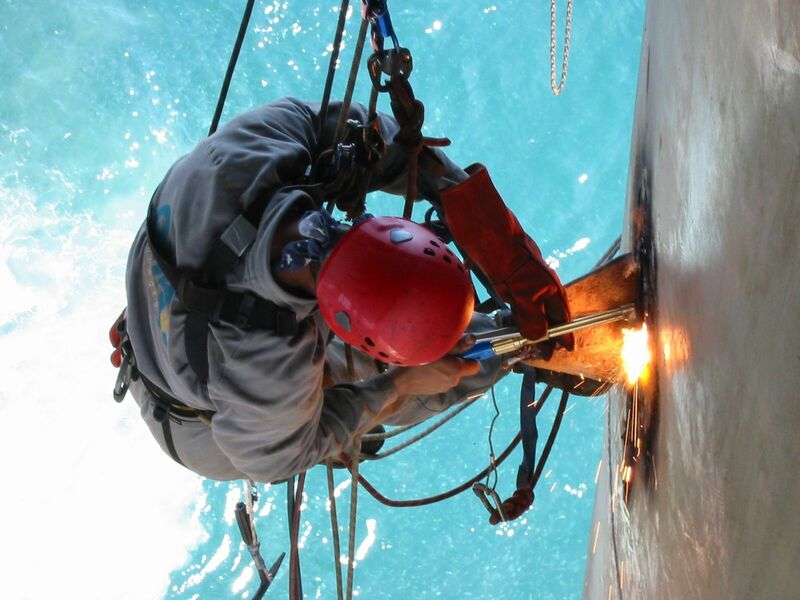 Such welding helmets (masks) provide comfortable conditions for eyes, as there is no need to take them off; they guarantee a high degree of face protection. 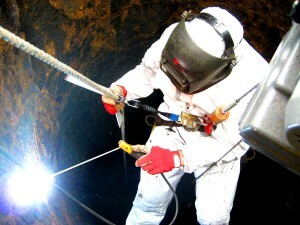 Special moving techniques are used when spotting a welder-climber. 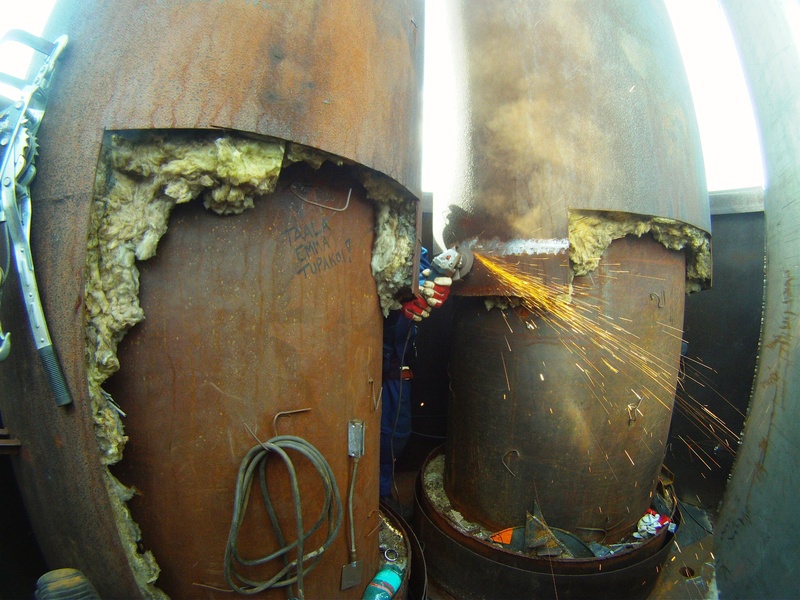 Welding at height by right belongs to the category of works that have the highest degree complexity; it is made by professionals in this industry only because this work requires thorough preparations and balanced deliberate decision-making. Not many professionals are able to qualitatively perform the tasks set, being in an unsupported, uncomfortable position or at a considerable height.